Wedding Wednesday – Who’s that girl? This is a photograph from my own collection. I have to admit up front that I don’t know the happy couple. Well, what I mean is that I know who the groom is but I never met either him or the bride (as far as I know) and I am not related to them. The ‘dad’ referred to in the description is my granddad – Joseph Dawson. He is the chap second from the left – I am guessing that he was ‘best man’. So I did a search on Find My Past and came up with a couple of possibilities. 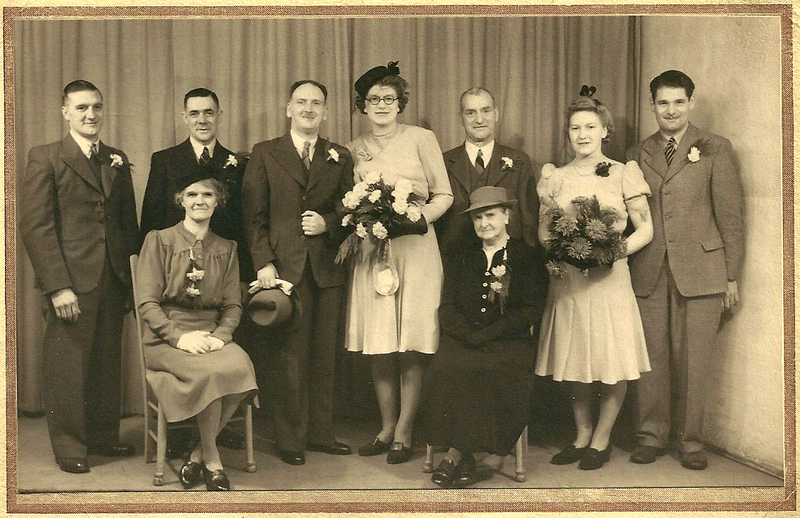 There is a marriage in the December quarter of 1943 between Harold Crossland and Marian Jenkinson in the Rother Valley registration district. There is also a marriage in the June quarter of 1947 between Harold Crossland and Marian Smith in the Sheffield registration district. For those who don’t know the area Rotherham and Sheffield are not a million miles apart. I know that my grandparents lived in Brinsworth (part of Rotherham) for a while and I guess that this is where Joseph made friends with Harold. Of course the wedding could have been held somewhere else completely and I am way off the mark. 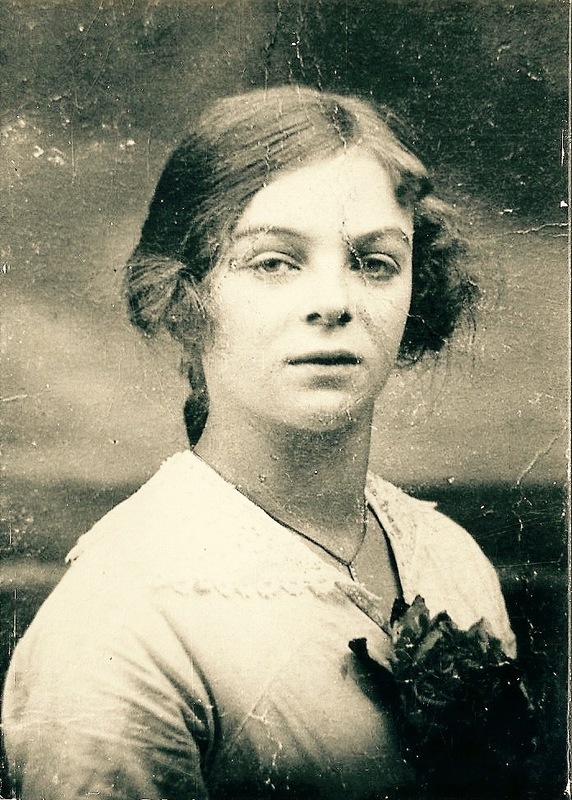 My granddad was born in 1903, so, if I am right then he would be either 40 or 44 when these photographs were taken. I am really bad at trying to estimate ages – what do you think? Are there any clues from the style of clothes? Leave a comment if you think you can help.